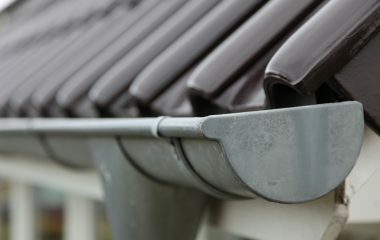 Gutters collect the water from rain and send them to the drain area. If a gutter does not work properly or is blocked, the water will build up and overflow. This will lead to damages of brick and mortar on the outer walls. Seepages can occur too. It could damage your furniture, paint, and properties inside the house. Leaves and debris might collect in the gutters over a period. It could lead to a blockage in the system. Apart from this, the windblown seeds sometimes find gutters conducive for growth. Thus, weeds will grow in the gutter, preventing smooth flow of water to the drain. Hence, it is essential that the gutters are cleaned and maintained regularly. In the case of problems that cannot be solved by cleaning, we offer reliable roof repair services. We are experienced in handling problems like dislodged down-pipes, dripping joiners, water backing up over the end cap, loose or disjointed gutters. Our team comes with the optimum mix of experience and ability. Wherever necessary, they will undertake the required repair works. We will remove the blockage, clear the weeds and even fill the cracks with special patches to suit your guttering material. Sometimes, despite all the care and maintenance, we may have to replace a faulty gutter. A well-maintained gutter could expect to serve you for 15 to 20 years. After that, it is better to replace it with a new gutter. We offer you durable guttering Sydney solutions at affordable price. We also ensure it is installed properly. We will be able to recommend a solution that suits your property in general and your roof in particular. Gutter maintenance in Sydney is crucial to keep the gutters in good condition. Regular checks have to be done to make sure the free flow of water and to make sure there aren’t any threats of leaks, damages, faulty or blocked gutter system. Our experienced team offers complete maintenance services on your gutters. It includes several processes like gutter cleaning, repairs, and replacements. Windblown leaves and debris are often the most common reasons for gutter damages. To prevent this, you can opt for our leaf guard services. Once we install these leaf guards, the leaves and debris won’t fill your gutter and block the drain. Once the leaf guard is installed, the water flow won’t be interrupted. This means fewer blockages and less cleaning of gutters. As these installations are invisible from the ground, leaf guards do not spoil the beauty of your property. Our guttering Sydney services are reliable and affordable. We offer free inspection and quote. Call us on 1300 337 796 or 0405 229 765 to know more about our guttering services.